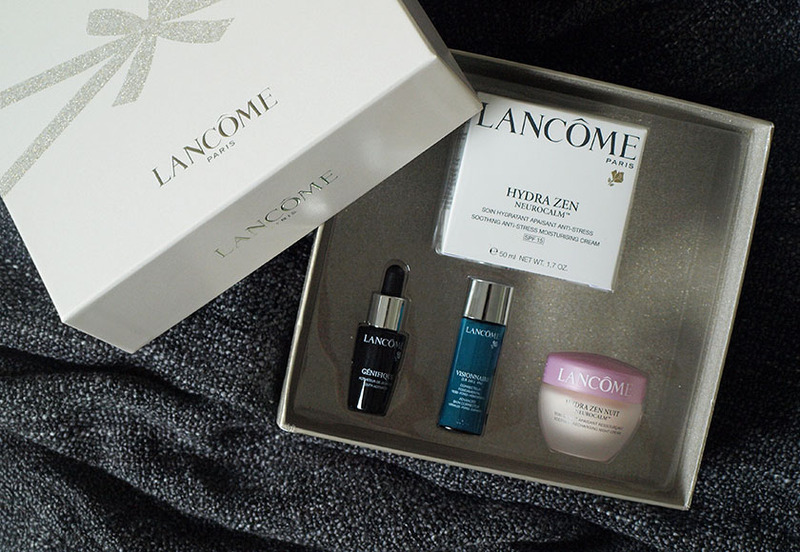 The set includes Hydra Zen Neurocalm SPF15 Day Cream, Hydra Zen Neurocalm Night Cream, Génifique Youth Activating Concentrate and Visionnaire. The Hydra Zen Day Cream costs £39.00 alone, so the rest of the set is a free bonus! Fantastic value for money. I always put new skincare products to a proper test, so I gave the Hydra Zen set 3-4 weeks to see how the products perform. I was a little bit worried that I might get a reaction to the ingredients, because I have been using more natural skincare for the past 2 years, but... my skin didn't break out or react to the products badly at all. In fact, they worked really well and my skin loved the change. First of all, I adore the packaging. It looks and feels very luxurious. The pink theme continues inside, with the cream being a light pink shade. The Hydra Zen Neurocalm Day Cream is designed for dry skin types, to soothe stressed skin and protect it from external influences. It also contains SPF15, which is always a bonus. The texture of the cream is surprisingly light, but feels nourishing and hydrating. It sinks into the skin quickly, leaving it soft and radiant. The only thing I don't like about this product is the strong scent, but it isn't a big issue. I am not wowed by the Hydra Zen Day Cream, but I really like it. I would recommend it for more mature and dry skin types, especially if you are looking for a light, but effective formula. The night cream is very similar to the day version, but the consistency is a bit thicker and feels more nourishing on the skin. The scent is less powerful, making it bearable at night time. Again, it sinks into the skin quickly and doesn't leave a residue, leaving my skin silky smooth and hydrated. It works wonders overnight and I wake up to gorgeous, plump skin with a nice glow. If I had to choose between the day and night option, I would go for the Hydra Zen Night, because it performs much better. I was very excited to try this serum, because... it seems like a miracle worker. The full size costs £90 and I wouldn't normally buy it, but I was happy to give it a go. The formula is rich in proteins to leave your skin soft and supple and reinforce it's surface. The consistency is very light, but it really helps to hydrate dry skin. I have been using it on dry areas of my face and it made a big difference, getting rid of all dry patches and giving my skin a nice glow. I didn't want to use it allover my face, because the sample was tiny. I wish I could afford the full size to be honest. This revolutionary formula made 50% of women who were considering a cosmetic procedure, delay their plans! Wow! Just like the Genifique serum, it is very pricey and the full size costs £82.00. I have been using it at night and oh my...it is fantastic! I was secretly wishing for it to be ineffective, but it is the total opposite. 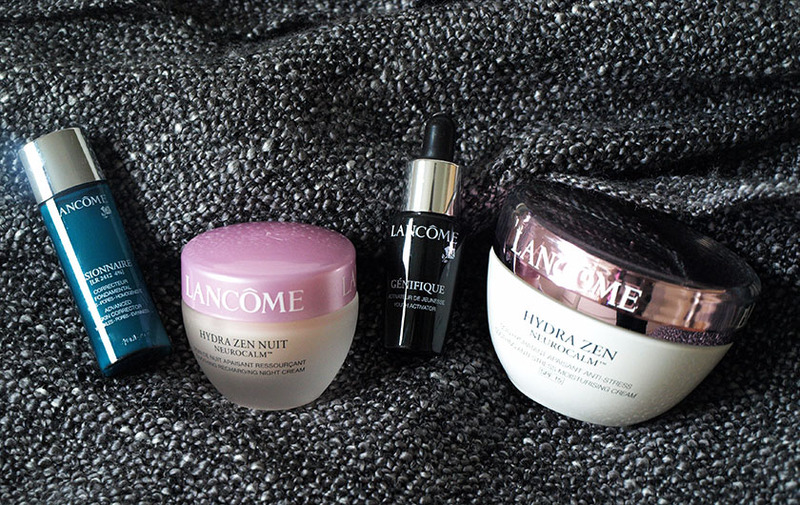 Combined with the Hydra Zen Night Cream, it left my face looking visibly younger and smoother. It also reduced the size of pores dramatically and I will really miss having it in my routine. Such a great product! I would love to see the effects of it on my mums skin, as it is more mature and needs more help. I might treat her to this gift set for Christmas. 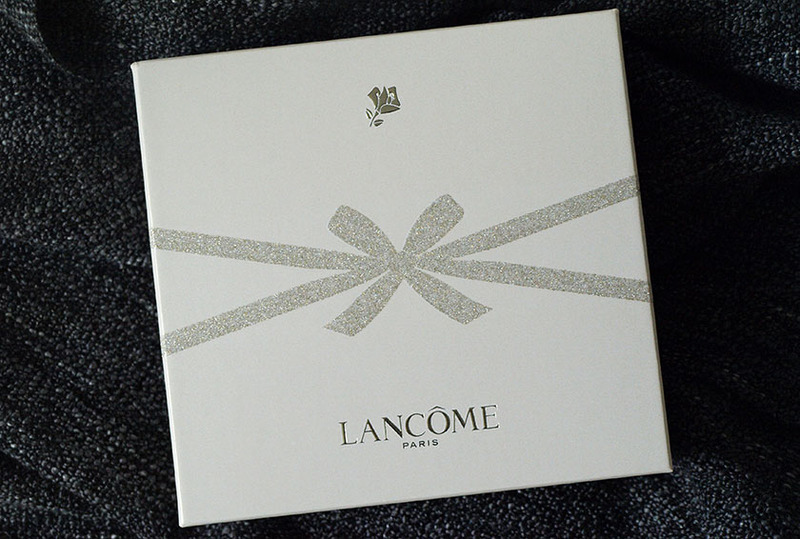 Overall, it is a fantastic gift set and a very smart move from Lancome :) They made me want to spend hundreds of pounds on their products. If you manage to get your hands on it, you won't regret parting with £38.00. An absolute bargain and a perfect way to discover a high end brand. 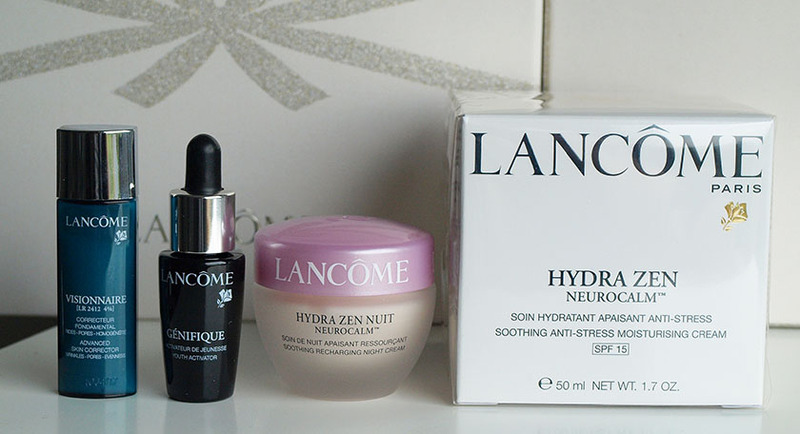 You can buy Lancome products from Harrods.